Shawn Zigelstein, a Royal LePage Your Community Realty sales agent, sold a Scarborough house five years ago that was once a murder scene, and that he expected it to be a tough sell. It was anything but. “We had multiple offers on it,” he said. “Most people didn’t care. We were in an area where buyers were coming from different areas and were of different ethnicities. Depending on their beliefs and ethnicities, some people will or won’t put offers in. Even with a natural cause of death, some people will not put an offer in." Zigelstein added that, sometimes, the passage of time assuages buyers’ discomfort. “It was a number of years since the murder—probably around several years prior to. So I don’t think they had an issue with it at all,” he said of the Scarborough house he’d sold. Zigelstein has also sold two homes marred by suicide. But, again, he says people have different attitudes towards death. 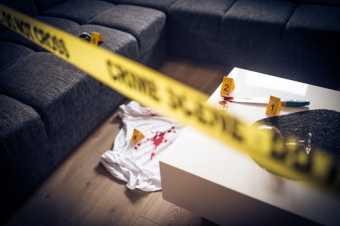 In Ontario, sales agents are not legally required to disclose murders, suicides or misadventure—an accidental death, like drowning in a swimming pool—however, the Real Estate Council of Ontario does require agents to divulge what they know. Moreover, non-disclosures in the digital age could mean a headache down the road.